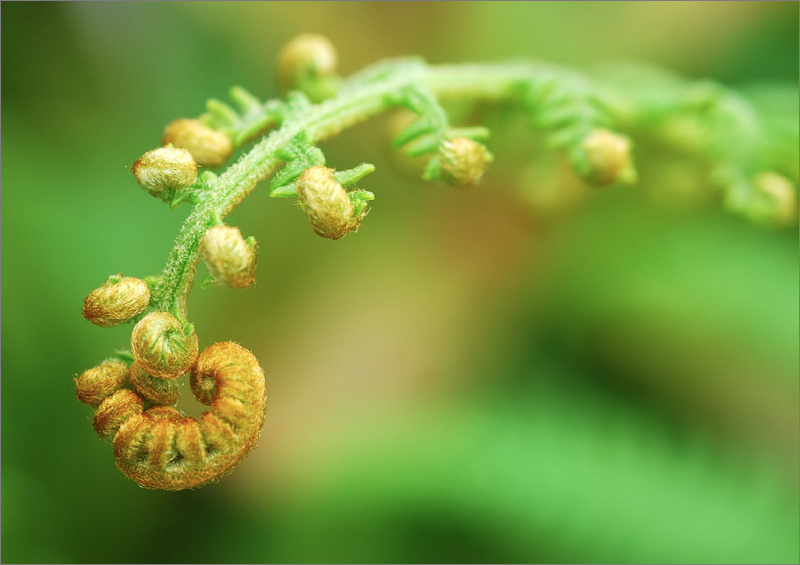 This fiddle-head was captured at the peak of Mount Jerai. An amazing macro work with lovely harmony of colors with beauitful fresh look and the creamy bokeh is so beautiful while the focus on the head of fiddle is superb and creates wonderful shallow depth. HI Jusni. Great shot...wonderful colors and macro details....very nicely composed...well done. I like the nuances of green that you reached here...very unique, good focus and suerb colors nuances. Splendid use of shallow focusing while producing a sense of 3D in this marvelous macro of a fiddle-head. Great details on the flower backed by a marvelous bokeh BG. Very nice vivid colors and a neat presentation. Magnifique spirale, avec de subtiles jeux de lumi�res. Superbe macro sur la pointe de cette plante en r�v�rence. Belles couleurs et beaux d�tails. That i saw before today , he he and it is a lovely plant to picture i reckon , interesting depth of field created here ,the fiddle-head's very tip shown with precision while the rest of the stem slowly diminishes in sharpness in the distant BG , easily identifiable here i simply enjoy the shape of this , you have also displayed it in a bokeh-like illusion of matching tones to make your subject pop even more , that is something i like ! A good presentation and a fine compositional work respecting the rule of thirds in the process ,thanks !